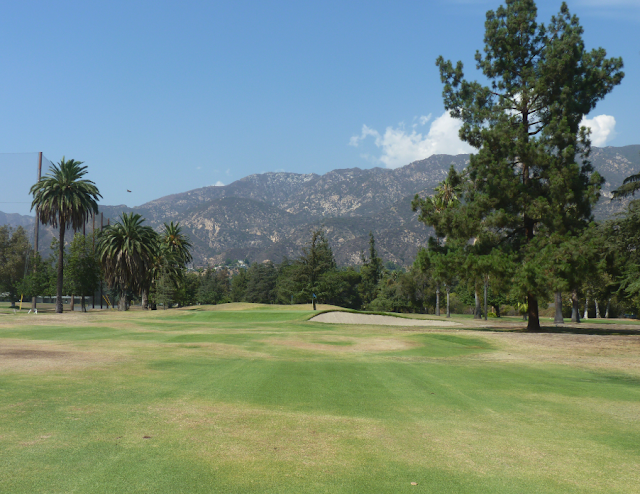 Altadena is a 9 hole executive golf course. Altadena is located just north of Pasadena.There is a cafeteria/ bar and driving range there also. The course is a Los Angeles County course, but operated by O&J Management. 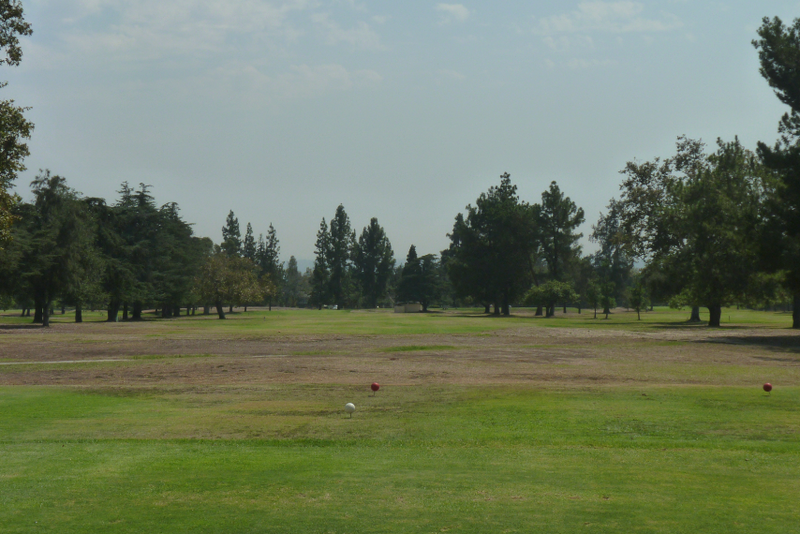 The course is very long – almost 3,000 yards. 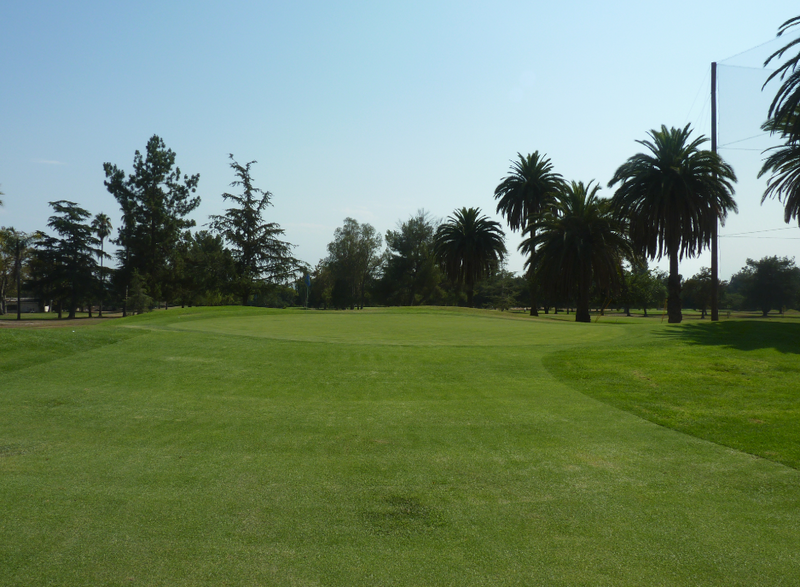 The shortest hole is 167 yards and the longest was a par 4, 509 yard hole 9. 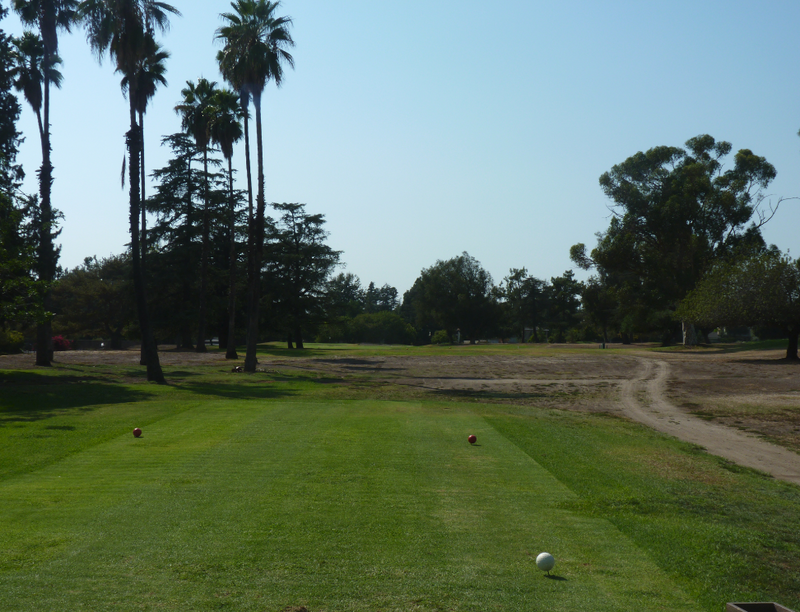 The course had electric carts available for hire, but they were $16. Which seemed very highly priced. So we walked the course. 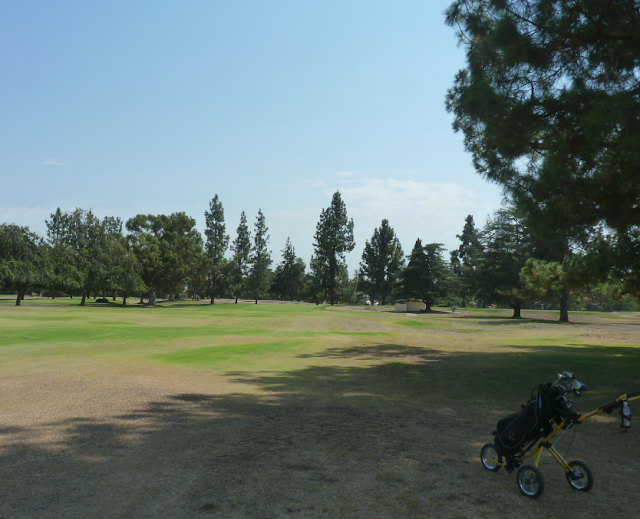 The course was very quiet. 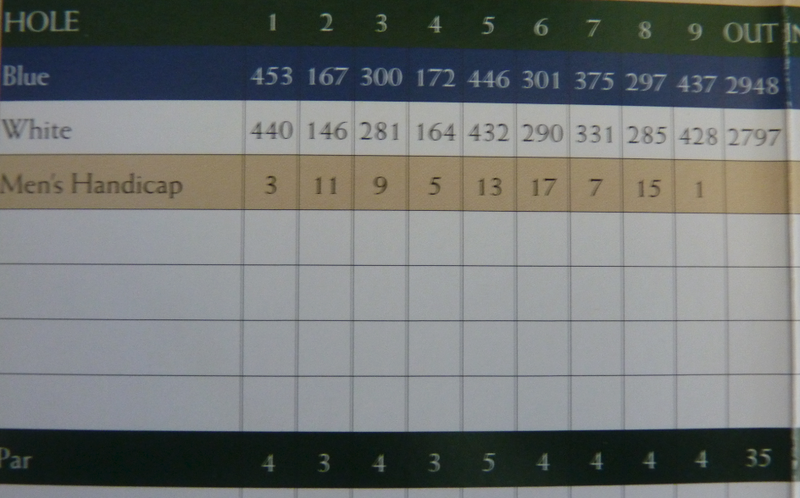 We played twilight and it took about 2 hours to complete the 9 holes. 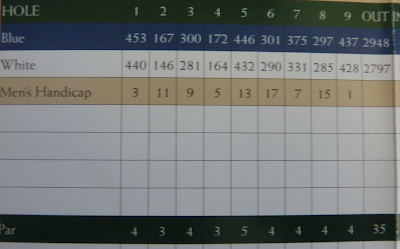 We were not delayed at all and there was no wait on any of the holes. Going at twilight (after 2pm in September) meant a saving in green fee. It was just $12.25 which is a good value. The course as I said earlier is long. The most noticeable was hole 9 – the last hole. 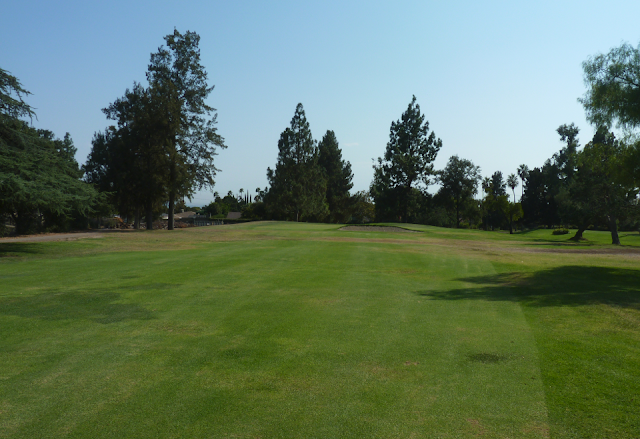 It was slight uphill and played of an alternate tee, which made it a 509 yard par 4. 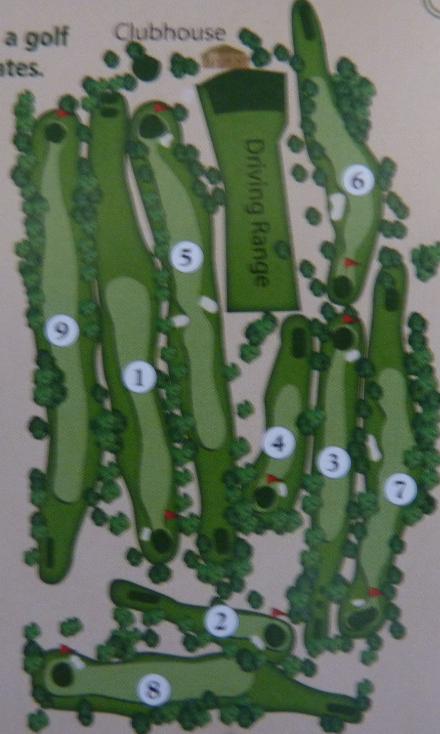 There are just two par 3 holes on the course and the rest are par 4’s. There are ladies and orange (kids?) tees for those who can not hit the ball far. 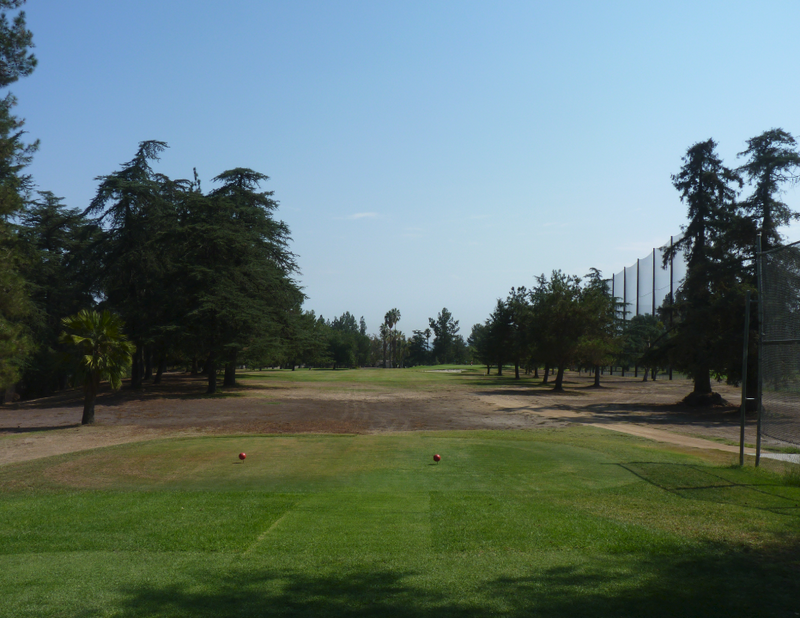 All the holes are pretty much straight with trees down each side. There were some bunkers throughtout and sometimes in some challenging spots. 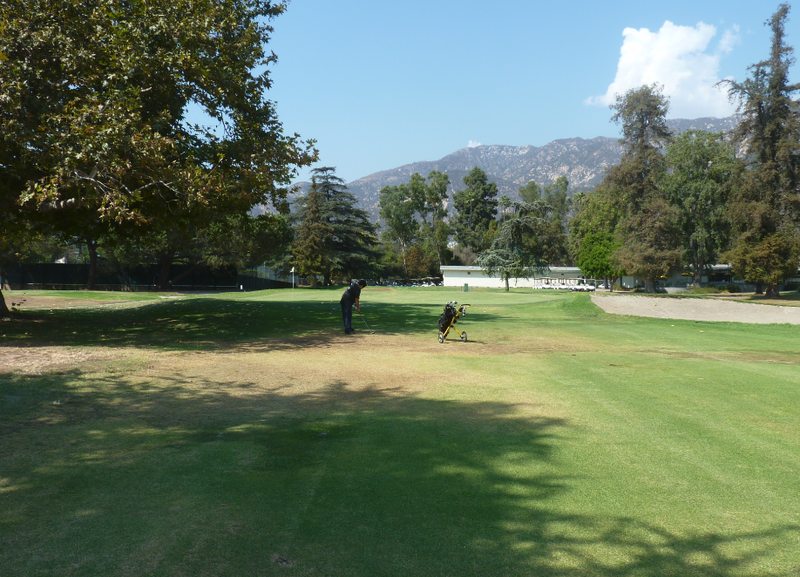 The bunkers and sand were in good condition. Other than that the course was in overall bad shape. 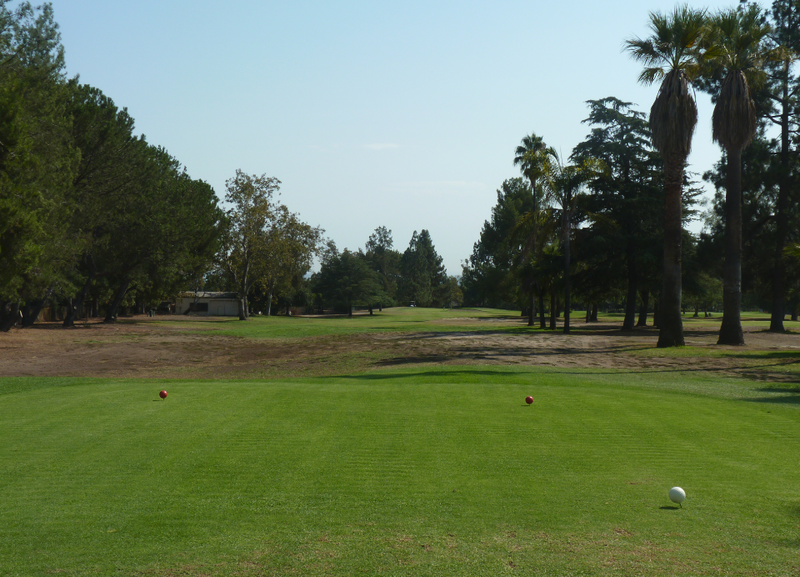 I have played to date 34 golf courses in the Los Angeles area. Other than South Gate, this is probably the worst maintained. 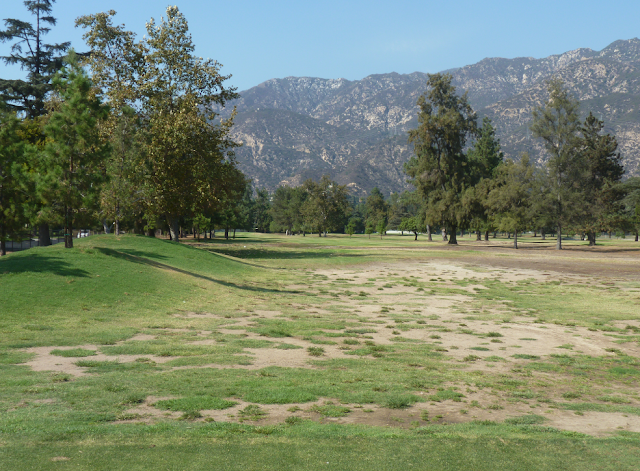 I initially thought it was because it was a County course and there may be a lack of funding. But upon closer inspection, I see that it is maintained and operated by a private company (O&J). 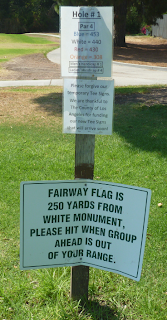 So they must have bid and won a contract to operate this golf course. 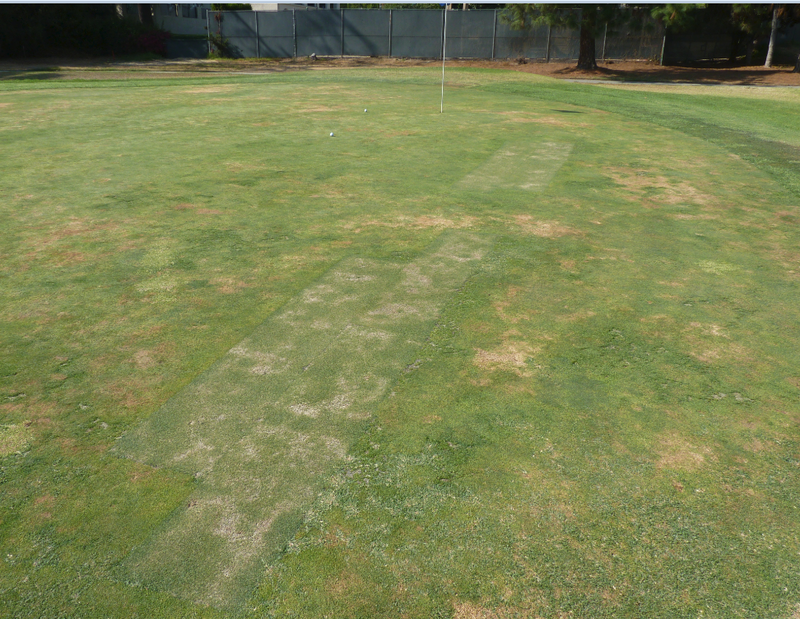 There are large areas of ground with no grass. The grass itself is not watered enough and the ground is very hard. If you stray off the fairway you encounter some gnarly conditions. 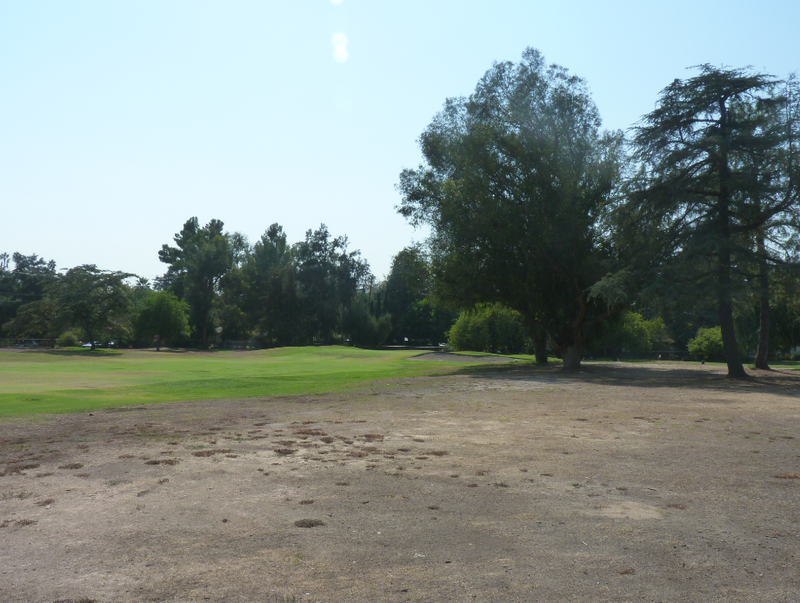 Along hole 5 there were large patches of mulch just off the freeway. Hitting off the mulch was not all that fun. The greens although large, were not good. The ball did not roll smoothly. There were patches of grass missing and some greens were “diseased” looking. 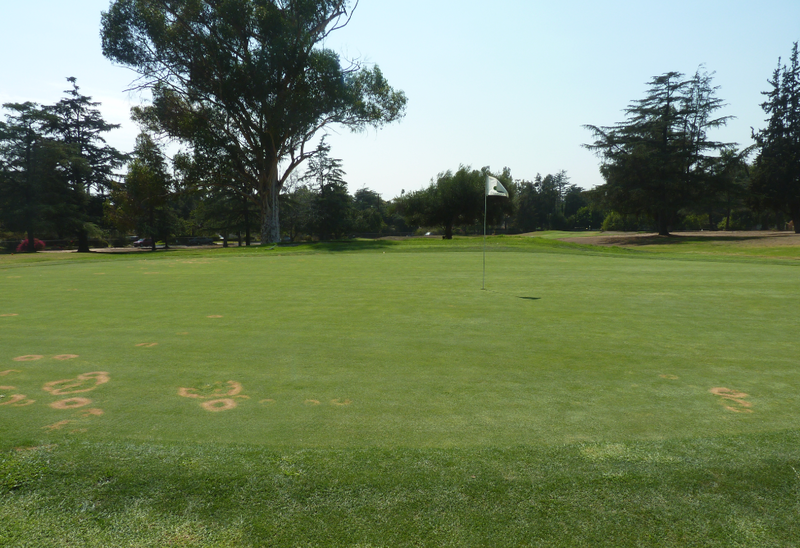 The greens were extremely slow and with little break. When we were out I saw no maintenance people out there working. There was just one employee working in the starters office and a couple of ladies in the cafe/ bar. 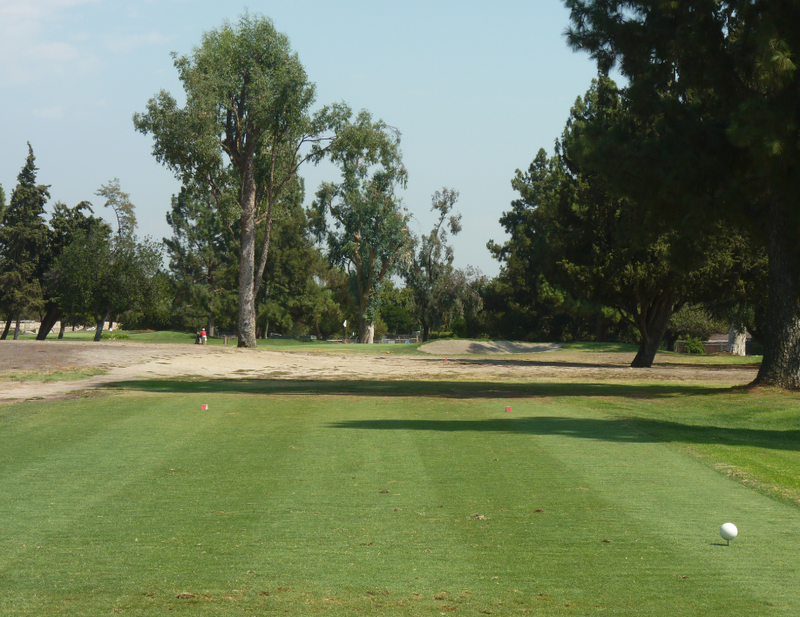 If I lived in the area I would much prefer to play down the street at Rancho Duarte. 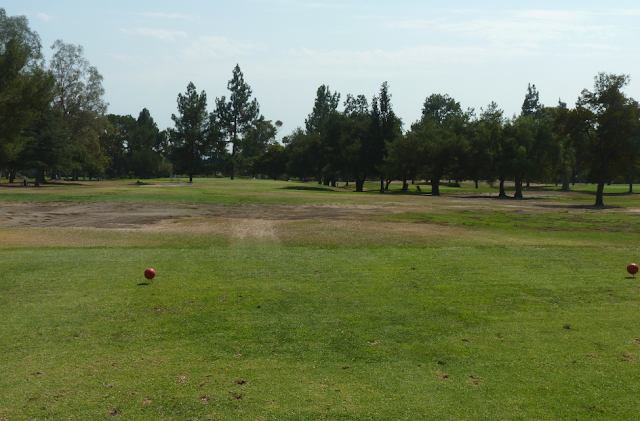 What this course does have for it though is the size and the fact that you can hit a driver off almost every tee. Other than that there is really nothing to distinguish it, or make it stand out. 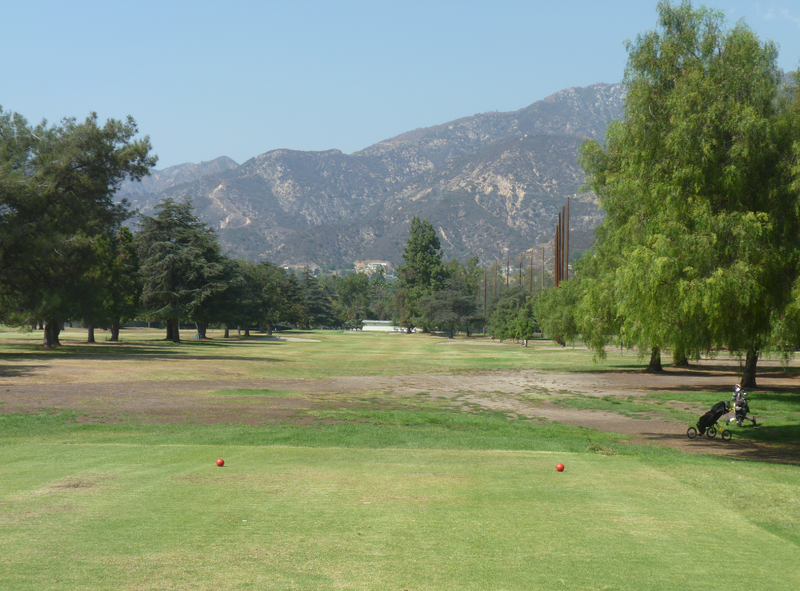 On a positive the course has the mountains in the background which is nice and very tranquil. No freeway noise etc. Altadena is actually a 9 hole Regulation course, not an Executive course. Hole 5 is actually a Par 5, not a Par 4, and hole 9 is now a Par 5, which used to be a Par 4, the hole was originally a Par 5, but with houses directly left of the fairway with no fence or trees to protect them, I heard that they moved all the tee boxes up about 50 yards, which made it to an uphill long Par 4, but with the new management, they moved the tees back, and it's back to a Par 5. 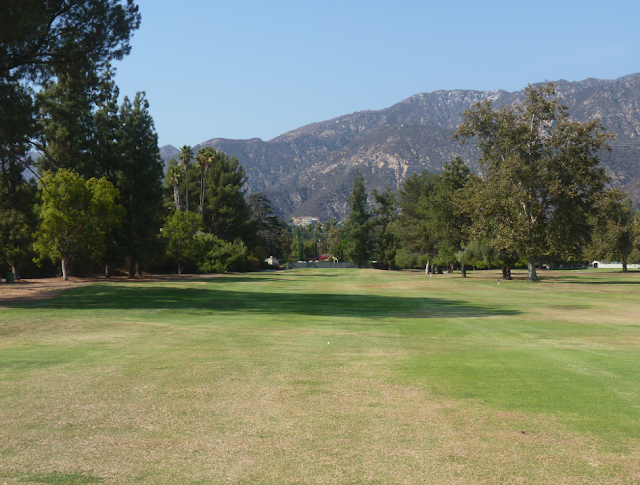 You should play and review Altadena's sister course, Eaton Canyon in East Pasadena which is also a 9 hole regulation course, which is shorter, more narrower, more hillier, and less straight than Altadena. 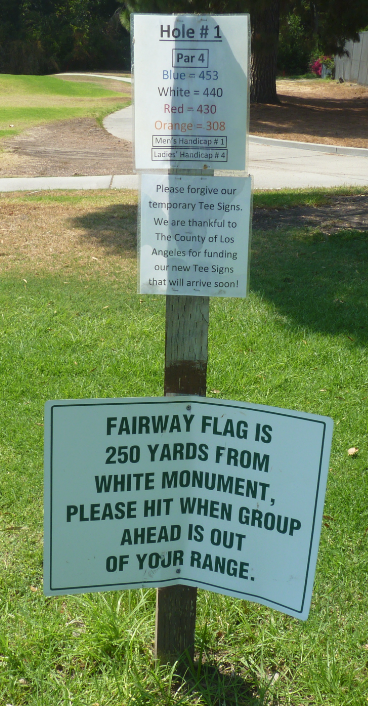 I hope after your are done playing and reviewing all the Par 3/Executive courses in LA, I hope you can start playing and posting reviews for the 18 hole Regulation courses in LA. Thanks for the comment. Doing the par 3's and executives have taken a lot out of me. With all the pics, videos etc it is very labor intensive. Therefore I have no plans to do regulation courses or expand my scope. I plan to spend the fall/ winter practicing and getting my game back in check. Then regroup in the spring. 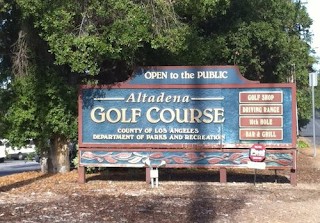 Well technically you already went outside the Par 3's and Executives since Altadena is a 9 Hole Regulation course, not an Executive course. I say as a start by what you call expanding your scope, when your done with all the Par 3 and Executive Courses in LA, you should play and review the 9 Hole Regulation courses in LA like Altadena, include them in since you already included Altadena, there is only a couple of them other than Altadena, there is Eaton Canyon which I've stated earlier, and Harbor Park which are both 9 Hole Regulation courses. 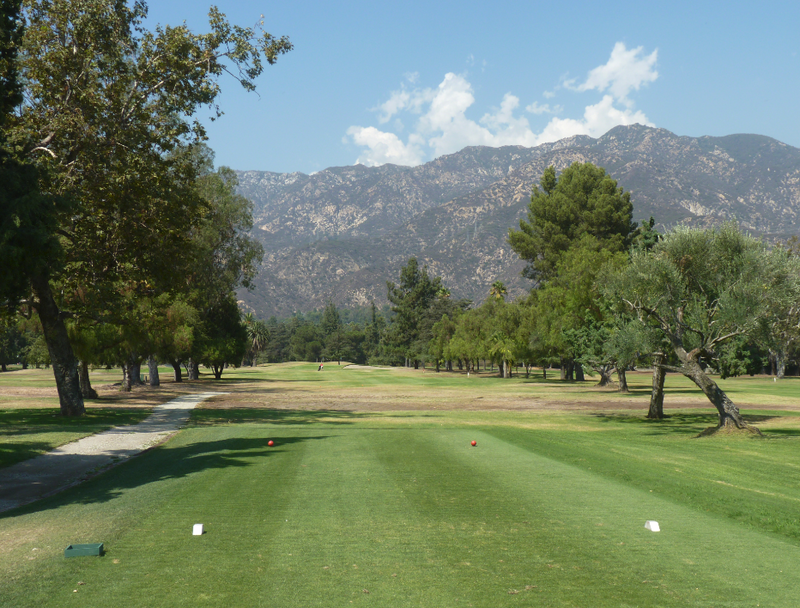 I also recommend you play and review Alhambra which is like an Executive but with Par 5, but it's technically a 18 Hole Regulation Course, but it plays like an Executive since there are alot of short Par 4's which are reachable in one shot, and alot of beginners that play there, it's like the shortest 18 Hole Regulation Course you can play out there.